As of 2012, hydroelectric power stations in the United Kingdom accounted for 1.65 GW of installed electrical generating capacity, being 1.8% of the UK's total generating capacity and 18% of UK's renewable energy generating capacity. This includes four conventional hydroelectric power stations and run-of-river schemes for which annual electricity production is approximately 5,000 GWh, being about 1.3% of the UK's total electricity production. 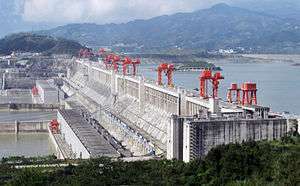 In addition, there are also pumped-storage hydroelectric power stations providing a further 2.8 GW of installed electrical generating capacity, and contributing up to 4,075 GWh of peak demand electricity annually. The potential for further practical and viable hydroelectricity power stations in the UK is estimated to be in the region of 146 to 248 MW for England and Wales, and up to 2,593 MW for Scotland. However, by the very nature of the remote and rugged geographic locations of some of these potential sites, in national parks or other areas of outstanding natural beauty, it is likely that environmental concerns would mean that a large number of them would be deemed not to be suitable, or could not be developed to their full theoretical potential. Schemes up to 50 kW are eligible for FITs, and schemes over 5 MW are eligible for ROCs. Schemes between 50 kW and 5 MW can choose between either. The UK Government’s National Renewable Energy Action Plan of July 2010 envisages between 40 MW and 50 MW a year of new hydropower schemes being installed annually up to 2020. The most recent feedback for new hydro schemes is for 2009, and approximately 15 MW of new hydropower was installed during that year. It therefore remains to be seen if the ROC and FIT incentives will be enough for these ambitious targets to be met. United Kingdom gross electricity supplied from Hydro between 1920 and 2012 (GWh), including for pumped-storage schemes. United Kingdom annual electricity generation from hydroelectricity between 1990 and 2012 (GW hours), excluding pumped-storage schemes. United Kingdom net installed hydroelectricity capacity between 1990 and 2012 (MW), excluding pumped-storage schemes. 1 2 3 "Department of Energy and Climate Change: Digest of United Kingdom energy statistics (DUKES)" (PDF). Retrieved 20 March 2012. 1 2 "Department of Energy and Climate Change: UK use of Hydroelectricity". Retrieved 20 March 2012. 1 2 "Department of Energy and Climate Change: Historical electricity data: 1920 to 2012 (xls spreadsheet)". Retrieved 1 September 2013. 1 2 "British Hydro association Report 2010" (PDF). Retrieved 20 March 2012. 1 2 "British Hydro Association Report 2008" (PDF). Retrieved 20 March 2012. Wikimedia Commons has media related to Hydropower in the United Kingdom.